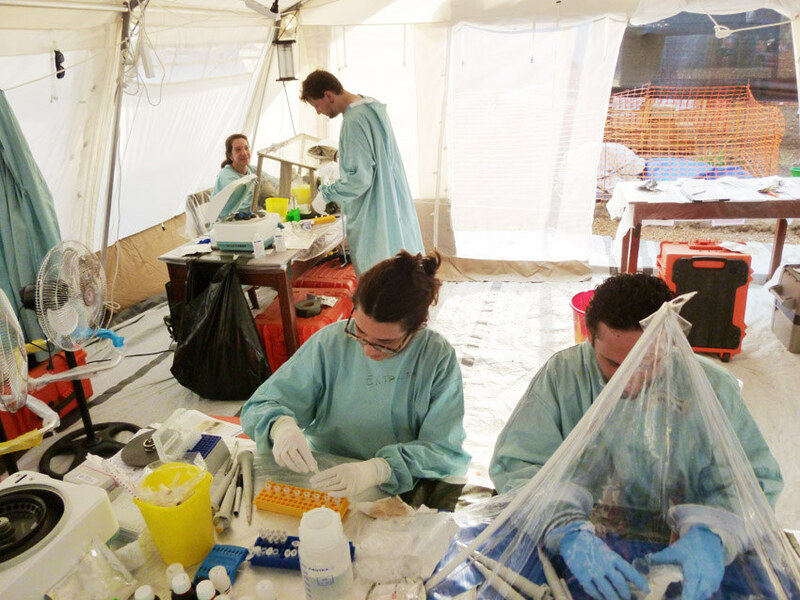 American and European medical workers (some with Doctors without Borders - MSF in French) beginning trials despite widespread condemnation by African health experts. Even though African medical professionals continue to press for more traditional ways of managing the Ebola disease in patients – rehydration therapy, with a proven survival stat of 90 percent or more – a trial for a ‘possible treatment’ still began on the 1st of January 2015 at ELWA 3, an MSF (Doctors Without Borders) Ebola Management Centre in Paynesville, Monrovia. 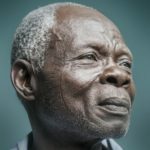 Led by Oxford University from the United Kingdom, and funded by the Wellcome Trust, and against the wishes of relatives of test patients and African health professionals – the trial will proceed nonetheless in a bid to determine if a new manufactured chemical brincidofovir could be an effective portion for Ebola. Meanwhile test patients, who could otherwise be receiving treatment through rehydration therapy, would be largely denied hydration regimen. The trials have come under severe opposition in West Africa. “So why try it when there is something that we already know works? Why find a solution to a problem that does not exist?” said Dr. Abe Adjettey of the NHA. “The drug, brincidofovir, will not be available at the medicine store, only under the specific conditions of the trial at ELWA 3” says Dr Jake Dunning, Trial Clinical Lead from Oxford University. “We know that is has been taken safely by over 1,000 people in clinical trials for other viral infections and we know that is has been shown to be effective in laboratory tests that use Ebola-infected cells. What we do not know yet is if it will be effective against Ebola in humans – this is why we must do a trial,” he added. The NHA is hoping that those who do not wish to be given the new treatment receive the same standard supportive care as those who do at the MSF centre. The NHA is calling on the International Community to bring pressure to bear on MSF so they can start using hydration therapy as a viable treatment for Ebola. As of now, the trial is running against the approval of the Liberian Medicines and Health Products Regulatory Authority, and condemnation from the ethics committees from the University of Liberia, University of Ghana, University of Nigeria and the University of Lagos . This news is so troubling. It is a tragedy that Africans have to endure the heavy hand of the U.S. which is always trying to impose itself on us and others around the world. But what is worse is that Africans do not take control of the situation. Arrest those charlatan doctors and try them for murder! They are not helping treat Ebola patients. They are playing with the lives of our sons, daughters, mothers, fathers, and relatives. The only effective cure for Ebola is hydration and in ignoring that remedy, they are only standing around while watching people die. They should be imprisoned at once. Very troubling news Afua. Very disturbing. Nauseating. I feel like I have Ebola from reading what havoc the MSF is reeking on poor Africans. Where are all the West African governments? Where are they? Just eating and going to sleep. The NHA and the MSF are the same people. So the NHA telling the MSF something is like the right hand telling the left hand. The West is in on the biggest scheme yet to try to kill Africans. The failed terrorist attempt on the Gambian president was another attempt. We know this is the game they play. Africans have to stand up against terror, especially white terror masquerading in a doctor’s uniform. The NHA is not perfect. But at least the speak up against the devils – the MSF – or as they are often known in America, Doctors Without Borders. Too bad the African doctors who should be critiquing this are mostly in the U.S. and Europe living in a nice house. Too bad, just too bad. These African doctors especially educated in Ghana, Nigeria etc. are the problem. They are stupid and above all childish. “The working conditions in Africa are not favorable” – well then change it, stay on and fight and change it, don’t run away to America, to the UK, to France? What cowards really! Doctors Without Borders thinks that Liberia, Sierra Leone, and Guinea are freshmen labs where they can make their errors before getting a real job in the States. It is up to leaders in those governments, however, to put a stop to this, because nobody in the States will. How can we put a stop to this when they continue to peddle the petro-dollar around forcing us to bend to their requests. When an American firm wants to test drugs in Liberia, all they do it tell the president of Liberia, we are going to give you $2M. That’s it. Its hard to fight against America especially when we have to fight the puppets they have here as presidents and ministers of state. I know Doctors Without Borders. I worked with them. They are generally, by and large, foul! African countries should get rid of them. They are a western tool for planting Biological weapons. A good example is what is happening in Liberia right now. We all know oral rehydration works, the biology is simple, Ebola drains the vital organs of fluids. Replenish it, give people anti-nauseous medicine and vitamins, etc. but they won’t do it. You know why? Read the beginning of my comment. There is going to come a time, we may not be able to let in a single health worker into our countries from Europe. The license they take in testing all kinds of drugs on innocent people is just barbaric. MSF is a barbaric organization. And the U.S. is violently petulant and childish – sending 3,000 troops into Liberia for what? You Africans may be just right, the MSF is a handle of the west in spreading disease, not curing it. Otherwise they would do the right thing – change protocol, ensure re-hydration of patients as the basis for treatment. Anything else, like I read here on your other article, is a slaughter! The temerity of MSF is wrong and its stupefying knowing that it is human lives they are playing their games with here!